So often we hear about how diabetes affects our eyes, heart, and kidneys, but did you know that diabetes can also affect your lungs? Take this quiz to find out more. 2. 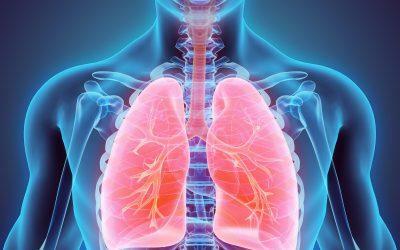 How might inhalable insulins affect your lung function? A. They might improve lung function. B. They have no effect on lung function. C. They might reduce lung function. D. They might destroy alveoli. 3. Diabetes increases your risk for developing which of the following lung diseases (More than one answer may be correct.)? 4. What makes lung disease more difficult to fight in Type 1 diabetes than Type 2 diabetes? A. Excess insulin in Type 1 diabetes pushes excess potassium into cells, causing fluid retention. B. Type 1 diabetes weakens the immune system, making it more difficult to fight disease. C. Fighting lung disease is no different in persons with Type 1 and Type 2 diabetes. D. Type 1 diabetes destroys lung cells. 5. What is one of the most important things a person with diabetes can do to help keep his or her lungs as healthy as possible? A. Avoiding or stopping smoking. C. Practicing deep breathing exercises. 1. C. As you probably already know, diabetes can damage blood vessels in the eyes, heart, kidneys, and other important organs of the body. Diabetic microangiopathy is a disorder in which small blood vessels become damaged. These damaged blood vessels may become blocked and cause oxygen deficiency in the tissues. 2. C. Some initial studies done on inhaled insulins showed that these medications slightly reduced the forced expiratory volume (FEV1) in patients who used it. FEV1 is a measurement that determines how much air you can forcefully blow out of your lungs over a given period of time. 3. B, C, D. According to a 2010 study, having diabetes increases the risk for several lung conditions, including pulmonary fibrosis, asthma and chronic obstructive pulmonary disease, as well as pneumonia. However, it was not shown to increase the risk of developing lung cancer. To help reduce your risk, try to keep a healthy weight and eat healthfully. For more tips on how to reduce your risk for lung disease, ask your doctor. 4. B. Type 1 diabetes is an autoimmune disease, or a condition in which the body attacks its own cells. Because Type 1 diabetes weakens the immune system, it makes it more difficult for the body to fight off other illnesses and health challenges. 5. A, B. Refraining from smoking or stopping smoking may be the most important thing you can do to improve your lung health and overall health when you have diabetes. Not only does not smoking help improve your blood sugar levels, but it also decreases insulin resistance while reducing your risk for developing diabetes-related complications such as nerve damage, heart disease, kidney disease and blindness. Maintaining a healthy weight also can help you keep your lungs as healthy as possible for a longer period of time. Frieda Wiley, PharmD, BCGP, RPh, is a medical writer and licensed clinical pharmacist.